– What’s in it for associations? The Meetings Show is set to return for its sixth year, taking place at Olympia London on Wednesday 27 and Thursday 28 June. 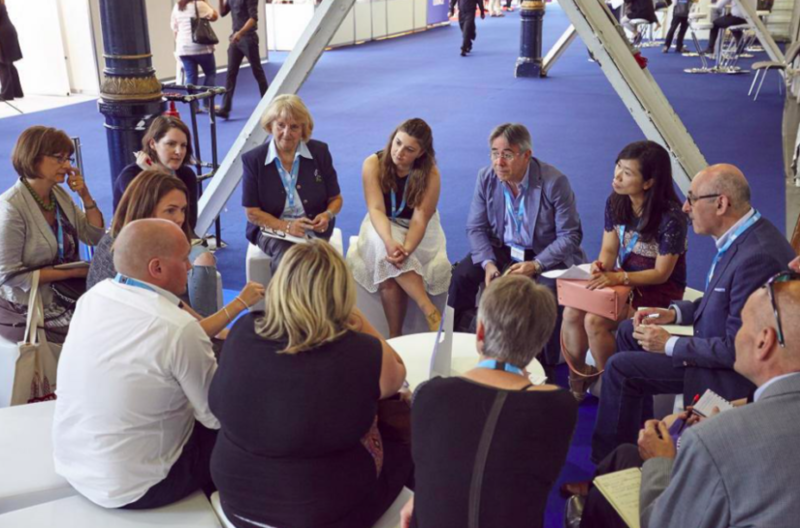 As the leading dedicated event for the UK inbound and outbound meetings industry, The Meetings Show will see more than 2,400 event professionals from around the world coming together to do business, including meetings and events planners, destinations, venues and suppliers to the industry. Alongside the show’s core offering of an exhibition with more than 700 individual exhibitors, one of the biggest attractions of The Meetings Show is its education programme. Offering more than 45 hours of free education, the two-day programme will include a dedicated stream for association attendees. Topics up for discussion on day one, Wednesday 27 June, include ‘The Power of Partnerships’, a panel debate led by Nancy Carfrae of the Union of International Associations (UIA), and ‘The Influencer economy’, a talk given by Wei-Tyng Tsai from Freaks 4U Gaming on how associations can benefit from working with key influencers. On Thursday 28 June, association attendees can hear from John Martinez of Shocklogic, presenting a real-life case study of ‘The Most Innovative Conference In The World’. Shocklogic supported the European Society of Organ Transplantation (ESOT) in creating the world’s most innovative conference, attracting more than 5,000 attendees and over 2,000 abstract submissions, and this presentation will provide a snapshot of the future and what organisers and associations must do to survive in the competitive world of events. In addition to the dedicated sessions for associations, there will be general sessions running across both days of the event open to all. These sessions will span everything from the latest innovations in event technology and experiential marketing to personal and professional development and techniques and tools for meeting design. Registration to attend The Meetings Show is free – just visit www.themeetingsshow.com and register now.